Retford Arts Festival is delighted to welcome back local artist Polly Warren, a member of local art-group Artempo and Lincoln & Retford Art Societies, to the second Retford Arts Festival which is being held in venues across the town over the Bank Holiday weekend of 27-29 May 2017. Last year the first Festival brought together artists of all genres, historians, actors & poets and delivered a memorable 3-day celebration of art, creativity, theatre, music, poetry and more and, once again in 2017 Polly, along with many other artists, will be featuring their work and demonstrating live at venues across the town. If you're an artist (of any kind) and would like to include your work in Retford's own Arts Festival you've still got time to sign up! Local artist Polly Warren's passion is for linocut printmaking. 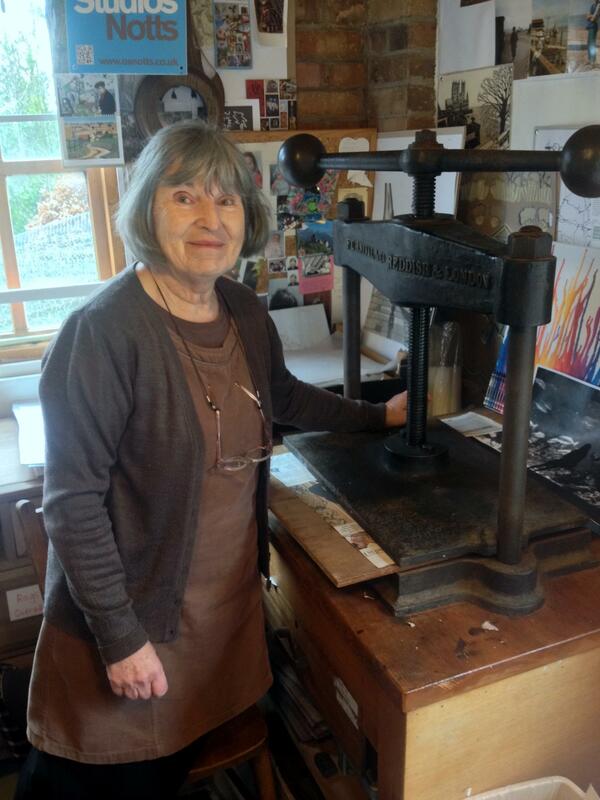 It started many years ago when an exhibition of prints ignited something within her. An opportunity followed for her to attend a three-day summer school course with the renowned artist Richard Bawden which she grasped with both hands. She was so inspired that she went back year after year. Polly eventually set up her own studio and set to work capturing memories of gardens and places in her work with linocuts. Her art has since been displayed in many galleries and exhibitions. Polly’s very first solo exhibition will take place in the Spotlight Gallery at Newark Town Hall from 8 February - 11 March 2017. A member of the local art-group Artempo, Lincoln & Retford Art Societies and Sheffield Printmakers, Polly also enjoys taking part in the annual Open Studios Notts. Polly, along with scores of other artists, will once again be exhibiting her work at the second Retford Arts Festival. More information about the 2017 Festival here. It's not too late to sign up if you would like to include your own work in the Festival! For further information concerning any aspect of the festival please visit the Retford Hub website here or call The Retford Hub on 01777 860414.